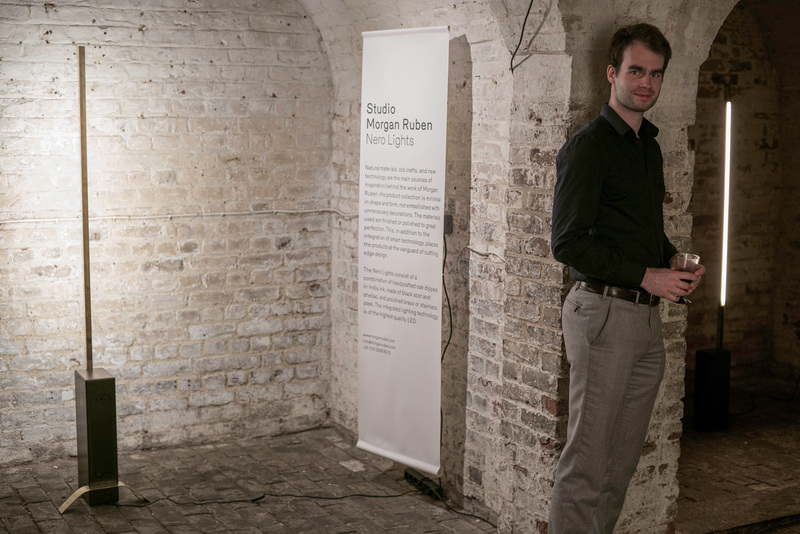 Morgan Ruben is a lighting designer based in Utrecht. 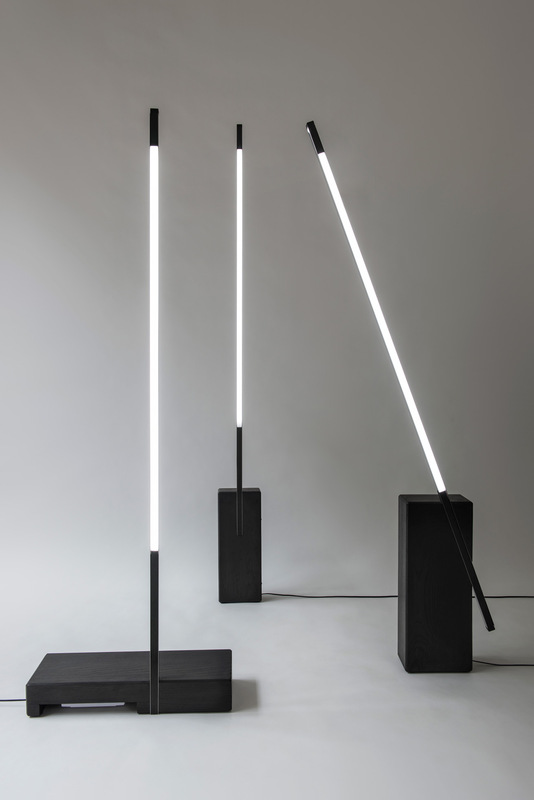 He will present his Nero Lights at the London Design Festival in September. Anna Bates: All the projects in your portfolio are lighting – what do you like about this genre? Morgan Ruben: Light is so necessary to daily life – without light, we’re hindered in our movements. But the technology also keeps it interesting – it’s continuously developing, so things that I could be making in twenty years might look very different to things I am making now. Of course as a designer you want to design timeless pieces but you have to be a bit realistic sometimes: times change and you need to move forward with it. AB: What direction do you think lighting will take? MR: I think it will still be LED – this is currently the main technology and I use it because it’s very sustainable, reliable and the ‘children’s diseases’ have been designed out. I think the parts will be developed so that they are even smaller, there will be more added features, and they will become integrated into the internet of things. AB: The Nero Lights – along with all your lighting – have a very refined design language. Have you always designed this way? MR: I’ve always been interested in designing good quality products. At the moment I think there is quite a division between conceptual design, which is close to what I did after graduating from Utrecht School of the Arts and what you still get taught at school, and high-end product design, which my practice is moving towards. Bridging the gap and bringing something conceptual on the market is usually impossible. But I think people are a bit done with rough, funny Dutch design, they want something produced to a high standard. Yet when you look at work from emerging designers the finish is often not that high. AB: What inspired the change of direction? MR: Japanese culture is a great inspiration to me – even though I’ve never been to Japan. The amount of time Japanese makers spend working on one specific craft, be it knife sharpening, knife making or wood working, is something that I think is very special. AB: How does this translate into your work? Do you make the objects yourself or employ specialists? MR: It depends on the type of piece. I like to work with old crafts and old techniques, to create a connection between new lighting technology and techniques from the past. But when I design something I do also take into account how it might be mass-produced. AB: What kind of old craft techniques do you use? MR: Mostly wood-working or metal-working techniques. With the Nero Lights the finish is very important: I dip the wood block base in India ink, which is a combination of black soot and shellac. There are ten layers: the ink is rubbed in, sanded, a new layer is added, then rubbed with a cloth so you get this very glossy black surface, which makes the wood look like it’s been lying in a swamp for many centuries. AB: What are the other materials? MR: The wood block is attached to a piece of brass or polished stainless steel which holds the LED, and the electronics are housed in an aluminium compartment. AB: There’s something very utilitarian about the Nero Lights – they could be street signs..
MR: They have a very simple shape and language. This could be the Japan influence again. I like books containing interesting iconography or Japanese symbols. Their simplicity also means they fit any style of interior. AB: What are your next plans? MR: I am doing a MA in engineering at the technical university in Eindhoven, as I want to work more with new technology. The only downside about spending so much time on one piece is that you raise the price so high that it becomes available to a very small group of people, and I want to build systems for larger groups of people too. Nero Lights by Morgan Ruben are part of the exhibition Enlightened Design II during the London Design Festival 21-24 September 2017 at The Crypt Gallery, Euston Road, London NW1 2BA. Click here for more information. ← How is Basten Leijh doing?